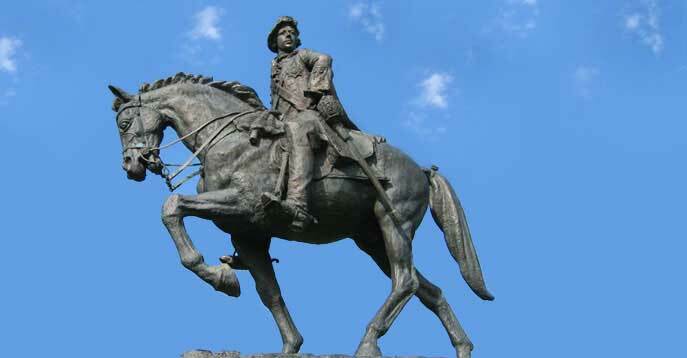 Bonnie Prince Charlie is one of the best-known historical Scottish heroes. 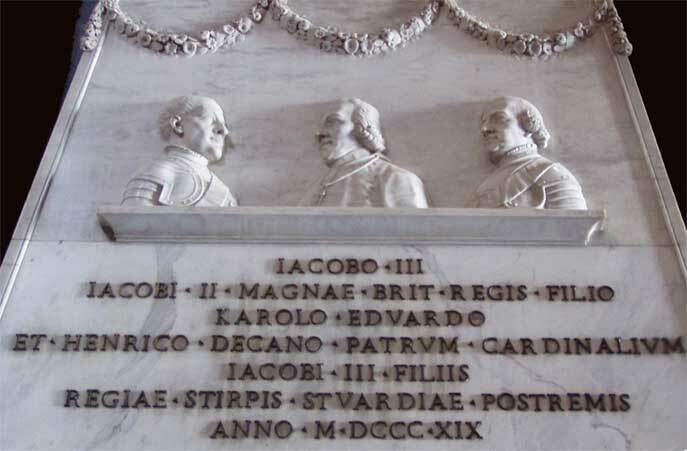 He was not, however, Scottish, but was born into the Stuart Dynasty in Rome, Italy on December 31, 1720. His grandfather, James II of England had ruled that country from 1685-1689 at which time he was deposed by the Dutch protestant, William III of Orange. James II had aimed to bring England back into the Catholic fold and in the process had irritated and alarmed the powerful statesmen of the day. Since the exile of James II the so-called 'Jacobite Cause' had striven to return the Stuarts to the English and Scottish thrones. Bonnie Prince Charlie was to play a major part in this ultimate goal. Christened Charles Edward Louis Philip Casimir Stuart, Bonnie Prince Charlie was the son of the 'Old Pretender' James Stuart, James II and Mary of Modena's son. His father was called the 'Pretender' because many believed he was not the King's true son - fearing a Catholic dynasty in England, his birth had seemed too convenient and was viewed with great suspicion. 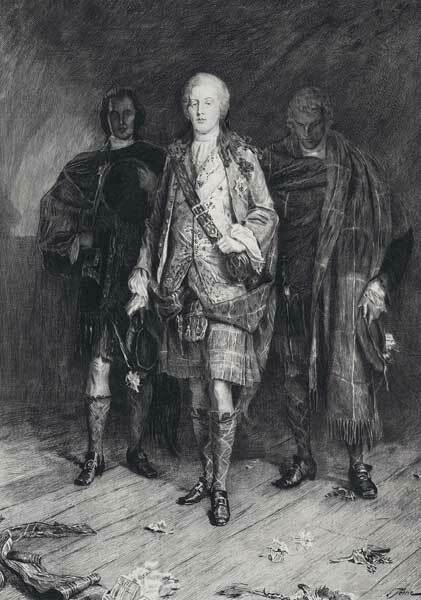 Charles Edward was also called the Young Pretender, the Young Chevalier, and later, Bonnie Prince Charlie. His childhood in Rome was one of privilege. Brought up a catholic in a loving but argumentative family, the talk of seizing back the thrones of England and Scotland for the Stuarts was a constant topic of conversation in the household, principally reflected in his fathers' often morose and combative moods. The young Prince was trained in the military and from an early age was a pawn in the Jacobite Cause. His father managed to obtain the support of the French government in 1744, and Charles Edward traveled to France with the sole purpose of commanding a French army, which he would lead in an invasion of England. The invasion never materialized, principally due to the fact that the French were afraid of the strong British army and because of poor weather that prohibited sailing. Undeterred, Charles Edward was determined to carry on in his quest for reinstatement of the Stuarts regardless. So, in 1745 he traveled to Scotland, with a few supporters (possibly less than a dozen), and arriving on the Isle of Eriskay he set about rousing the Highland Clans to support his cause. Many of the Scottish people believed in the 'divine right of Kings', in other words, the unquestioning right of the Stuarts, chosen by God, to regain the thrones they had lost. William III's successors were from the German House of Hanover, and the current King, George II, was regarded by many as a foreigner. The fact that Charles Edward was born in Italy, his mother Maria Clementina Sobieski was Polish, and was therefore also technically a 'foreigner' escaped them. Bonnie Prince Charlie was embraced by some, but not all, of the Scottish Clans. The Prince raised his father's (the Stuarts) standard at Glenfinnan in Scotland on the 19th August 1745, and so initiated what was to be referred to as the "'45", effectively the last Jacobite Uprising. Among his supporters were 300 from the Macdonald Clan and 700 from the clan Cameron. The rebels quickly took control of Edinburgh and by September 1745 had defeated the King's army (led by John Cope) at Prestonpans. Several victories followed and Bonnie Prince Charlie's' army grew in number, at one point reaching over 6000. Spurred on by the victories they crossed the border into England and got to within 130 miles of the capital London. Unfortunately, the English Catholics failed to support the Jacobite rebellion, the expected French support was non-existent and many of the English were content with the stable, placid rule of George II. This apathy and lack of support plus the might of the King's army forced the Jacobites to withdraw back to Scotland. They had only managed to reach Derby. The Battle of Culloden, near Inverness, followed on the 16th April 1746 and the Jacobite army suffered a crushing defeat at the hands of the 'Butcher of Cumberland', William Augustus the Duke of Cumberland. The Battle itself lasted for only about one hour but a widespread massacre of Scots, many of whom were not even involved in the Jacobite Uprising, followed. Thousands were killed and the Battle of Culloden Moor went down as one of the bloodiest in Scottish history. The defeat effectively put an end to the last Jacobite Uprising and the Prince was now a fugitive. On the run he spent the next five months in hiding in the Highlands and Islands of Scotland assisted by his supporters. A ransom of 30,000 pounds (equivalent to $1 million in today's currency) was placed on his head but despite this no one betrayed him to the authorities. The defeat at Culloden had wide-reaching implications for the Scots. The English government imposed strict laws, especially targeting the Clans. These included making it illegal for Highlanders to carry instruments of War (e.g. swords, targes and bagpipes) or to wear the tartan and the kilt. Jacobite supporters were either executed or forced to emigrate and their land was turned over to George II who distributed it amongst his English supporters. The 'Highland Clearances' also became law, where landowners now found it more profitable to keep sheep on land that had always been used for farming. Many Highlanders now found themselves without a home and there was a surge of people moving from the country to the new, emerging cities. Culloden thus changed the ancient Clan system forever. Emigration resulted in Scots scattered all over the world and intermarriages with other cultures and races became inevitable. Thus, Bonnie Prince Charlie's' failed attempt to regain the thrones for the Stuarts had a wide-reaching and long-lasting impact on Scottish culture and on suppression of the Scots by the English. The greatest manhunt in history culminated when Bonnie Prince Charlie arrived on the Island of Benbecula, and when he met Flora Macdonald. Flora was not an ardent Jacobite supporter but felt that she could not betray the Bonnie prince. They met in the summer of 1746; the islanders aware of the Prince's presence on the island were frightened of British Government reprisals. Flora helped to spirit him away to the Island of Skye, dressed in disguise as her maid 'Betty Burke'. Legend has it that Flora and Bonnie Prince Charlie fell in love that summer - she did keep a lock of his hair to remember him by - but the reality was probably that she felt sorry for the handsome Prince. He was assisted by supporters to escape to France where he lived a life of transient wandering throughout Europe before finally settling in Rome under the alias of the 'Duke of Albany'. Flora was captured for her part in the Prince's escape and spent some time in the Tower of London before being released. She became famous for her role in the Jacobite matter, subsequently marrying her childhood sweetheart Alan Macdonald. They emigrated to North Carolina where her husband served on the British side during the American Revolution. When he was captured she returned to Scotland and Alan followed her back there when he was released. She died in 1790 and is buried on Skye. Legend has it that she was wrapped in the Prince's bed sheet. Bonnie Prince Charlie spent the rest of his life in Europe, enjoying many affairs. None of his relationships with women lasted however including his 10-year late marriage to Louise de Stolberg. An alcoholic he was given to violent rages and was said to beat his female lovers. He had only one surviving child - 'Queen' Charlotte. The Prince spent his life fighting for the Jacobite Cause, even returning to London in 1750 and 1754 but could not find support in his goal to be King. Even the Highland Clans deserted him in the end irritated with his temper; his poor leadership, his lack of political tack and the harsh laws the English had opposed on them were blamed on Charlie. A charismatic but supremely selfish man he died where he was born, in Rome, on January 31st 1788 and so ended the chapter on the Stuarts quest to regain the Crown. In conclusion, Bonnie Prince Charlie was a sad and tragic figure. Haunted throughout his life by the passion for Stuart kingship he ultimately ended his life as a pathetic drunk. He is remembered however as a Scottish hero, a reminder of bygone times when the Clans roamed the Highlands and his life is portrayed in many stories and folk songs which are recounted and sung across Scotland. A monument erected by Alexander Macdonald at Glenfinnan commemorates the Prince and the myth and romanticism that surround him to this day.